SKIDEGATE, BRITISH COLUMBIA — A wild, sea-swept archipelago on the north coast of British Columbia, Haida Gwaii is renowned for its natural beauty, rich marine life, and unique First Nations culture and artistry. Canada’s most famous archipelago, Xhaaidlagha Gwaayaai, the mystical “Islands at the Edge of the World” in the language of its early inhabitants, should be high on any adventurous traveller’s bucket list. Nicknamed the Northern Galapagos for its unique flora and fauna, remote Haida Gwaii is an evolutionary showcase. Sea birds nest here by the millions. An indigenous and distinct species of black bear calls its lush rainforests home. Orca whales patrol the coastlines. And great colonies of sea mammals and migrating populations of salmon and halibut thrive offshore. For thousands of years, Haida fishermen launched their enormous dugout canoes into these storm-pummelled waters, providing food from this bounty of ocean life for their clans who traditionally occupied Haida Gwaii’s coastal bays and inlets. During the past decades, their descendants have made determined efforts to preserve, respect and renew their millennia-old culture and traditions. 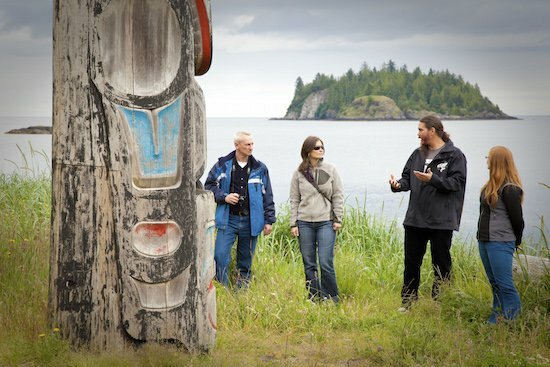 Today, the Haida proudly invite visitors from around the world to experience their treasured homeland. 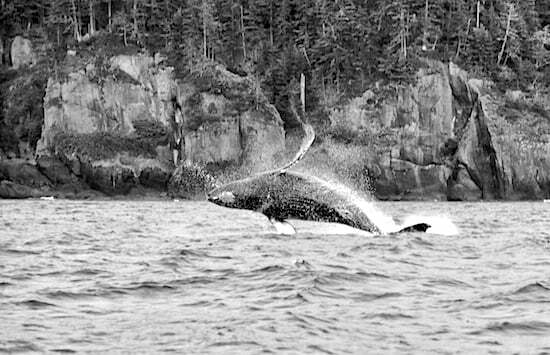 Here are some ways you can experience the magic, wisdom and artistic beauty of authentic Haida culture as it continues to thrive in its breathtaking ancestral territory, the westernmost point in Canada. Located at Kay Llnagaay, or “Sea-Lion Town,” the Haida Heritage Centre at Ḵay Llnagaay is on an ancient village site near the community of Skidegate on Graham Island. This fascinating immersion into Haida culture and traditions showcases the language, art and oral storytelling legacy of this still vibrant and evolving First Nations culture. The facility also explores the profound relationship the Haida have always had with the land and sea, elements that have long shaped, nourished and sustained them. In its essence, the centre is much more than a celebration of the living culture of the people. It also serves to protect and foster their heritage by reaffirming traditional beliefs and encouraging fresh artistic expression. Designed to resemble the traditional Oceanside Haida village that once stood in its place, the attraction features ceremonial poles at its entrance, first erected in 2001 to represent six of the southernmost villages in Haida Gwaii — Skidegate, Ts’aahl, Cumshewa, Skedans, SGang Gwaay and Tanu. In Gyaa K’id Naay (Carving House), visitors can see monumental poles, canoes and any other work too large to fit in a typical carving shed. In Skaajang Naay / Tluu Naay (Canoe House), you can learn about the Haida’s main ways of travel, resource gathering and trade. And in Xaayda Sahlinda Naay (Saving Things House), you can peruse an outstanding collection of historical objects, contemporary art, archives and artifacts. As well as helping preserve Haida knowledge, history and visual art, the centre works closely with the community to repatriate Haida human remains and cultural objects held in museums around the world. It also works to reconstruct the genealogies of the Haida clan system and mentor community members in traditional arts and education. 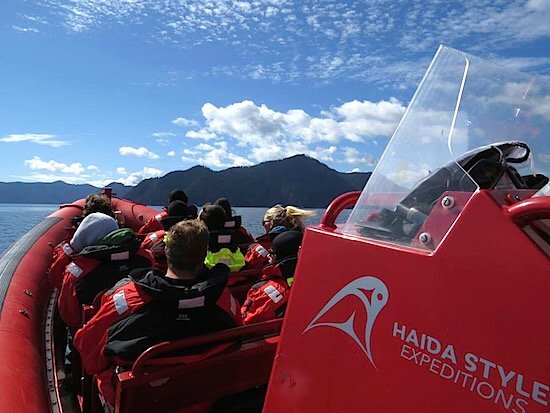 A journey with this Haida-owned eco-adventure and fishing expedition company provides an opportunity to connect with residents who are passionate about their heritage and environment in one of the most beautiful places on Earth. Members of the Tsaahl Eagle Clan, identical twins and co-owners Sk’aal Ts’iid (Flicker Bird, James Douglas Cowpar) and Kung X angajii (Moonshadow, William Shawn Cowpar) offer fascinating insights into contemporary Aboriginal life as well as a window into their culture’s glorious past during tours with Haida Style Expeditions. Employing a 28-foot Titan rigid hull inflatable zodiac, these enterprising brothers take guests on storytelling adventures full of sightseeing and history, culminating in a traditional Haida feast centred on fresh salmon and riveting stories. The Cowpar brothers also offer the opportunity to “fish like a local” for salmon, lingcod and halibut. Guests will venture into the ocean while under the tutelage of Haida guides, who know all the best spots to cast a line. Operated by the Old Massett Village Council, Hiellen Longhouse Village provides an Aboriginal experience in one of the most spectacular locations in Haida Gwaii. 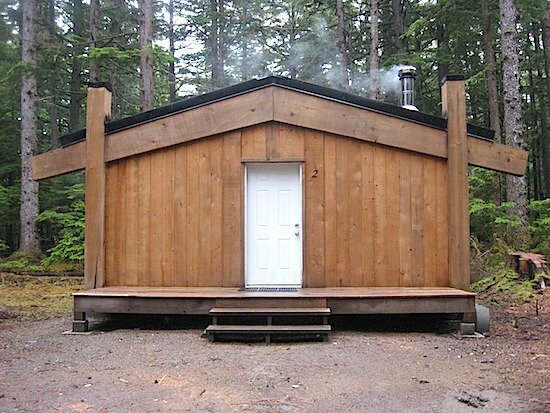 It is the result of the council’s long-held dream of building a village of traditional longhouses where visitors could come and stay and get a firsthand look at Haida life. Unlike First Nations groups in the prairie provinces of Canada, the coastal people on the west coast did not build tipis for their homes. Instead, they erected communal dwellings that often stretched dozens of metres and were covered with eye-catching peaked roofs. At Hiellen Longhouse Village, guests can enjoy a taste of traditional Haida life while staying in comfort. Located on beautiful Tow Hill Beach in Naikoon Park in northern Haida Gwaii, Hiellen recreates a Haida clan village, adding today’s conveniences. It features six spacious longhouse cabins and a large group longhouse. All were built using local cedar, hemlock and spruce from a community-owned mill. The group longhouse has a central kitchen and two bathrooms that can accommodate up to 20 guests. Individual cabins are equipped with modern conveniences, including a kitchen, BBQ, in-door bathroom, queen bed and a bunk bed. Six tenting sites are also available with a central bathroom (flush toilet) and shower. Guests can venture outside to explore endless swaths of sandy shoreline and surrounding waters. They can surf, swim, crab and dig for clams. And then spend evenings keeping warm by the woodstove or gathered ’round the clapping fire of the longhouse, imagining what life was like here in these immaculate Pacific islands in the years before Europeans arrived. Aboriginal Tourism British Columbia has released a three-part video series focused on the birthplace of the province, the tiny village of Yuquot on Nootka Island. Celebrity chef Rich Francis and Hollywood actor Duane Howard — both Aboriginal cultural leaders — lead you through the cinematic journey. View all three episodes of “Indigenous British Columbia” here.